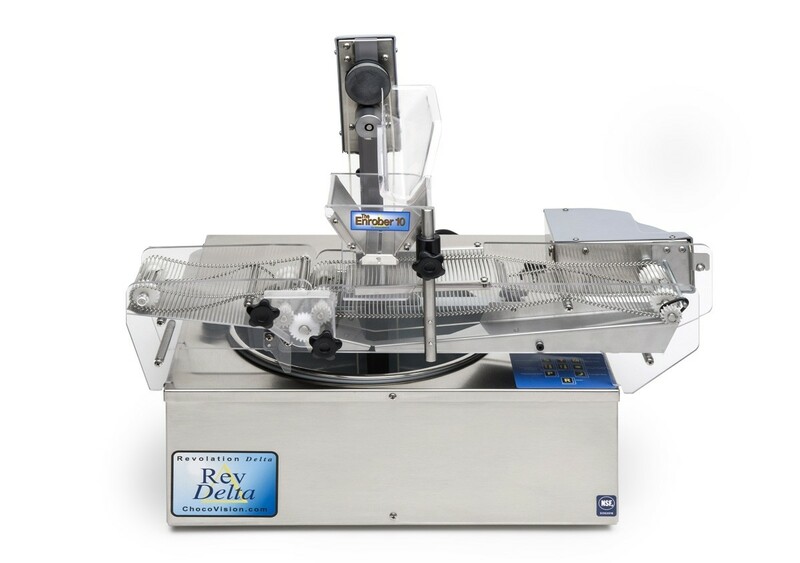 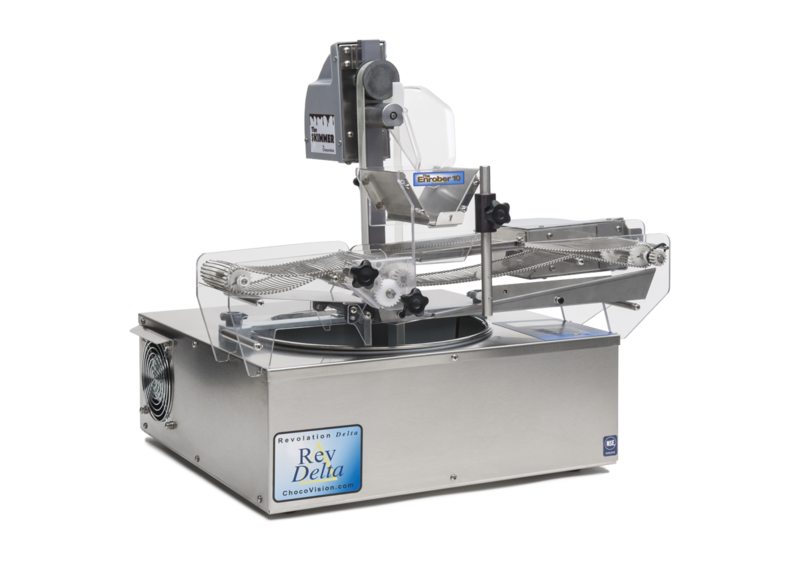 ChocoVision’s Delta Enrober is a moving, 4-inch-wide stainless-steel belt that passes through a flowing curtain of tempered chocolate designed to fit atop our (10-17 lb. 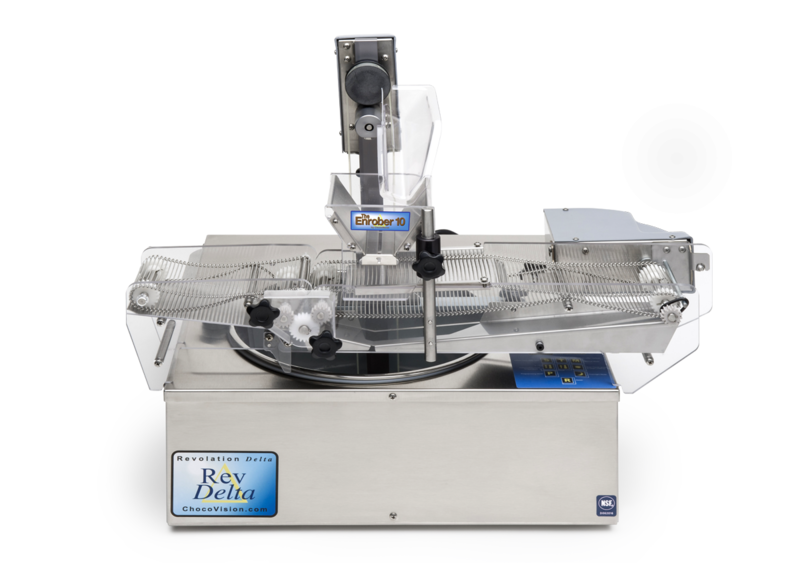 capacity) Revolation Delta chocolate tempering machine. 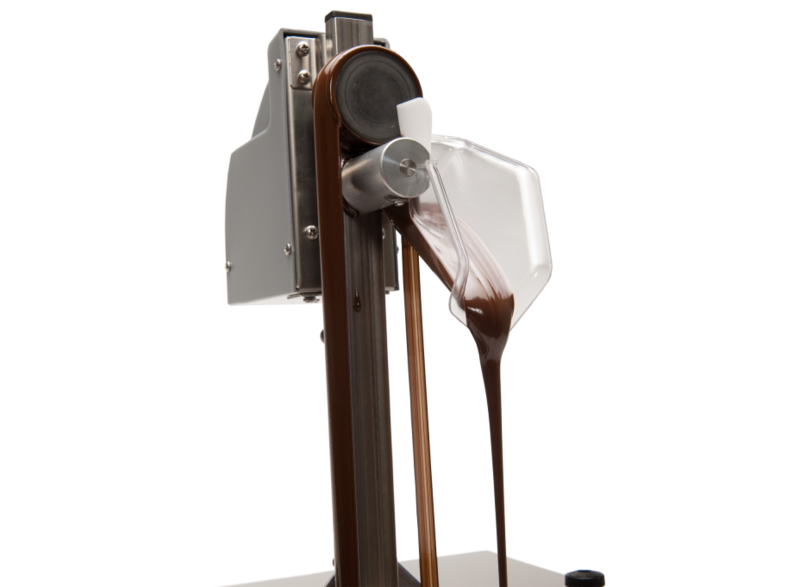 The chocolate curtain is provided by the ChocoVision Skimmer (sold separately). 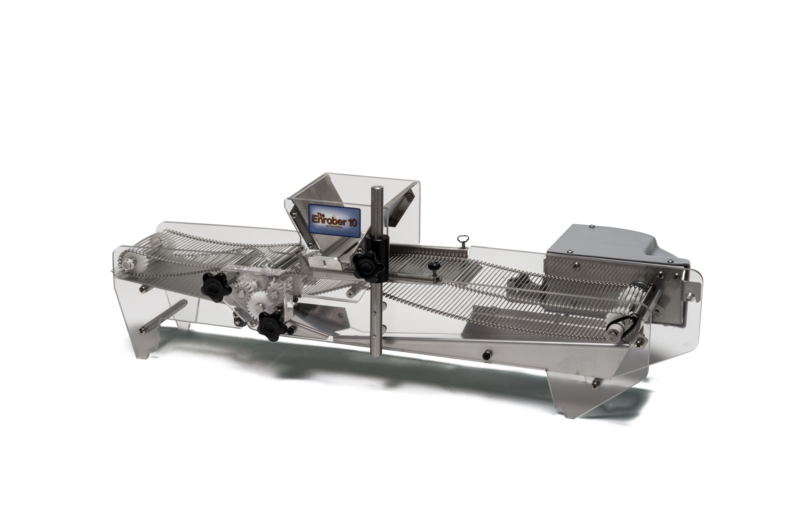 As your ganaches, cookies, pralines, pretzels, bars, etc. 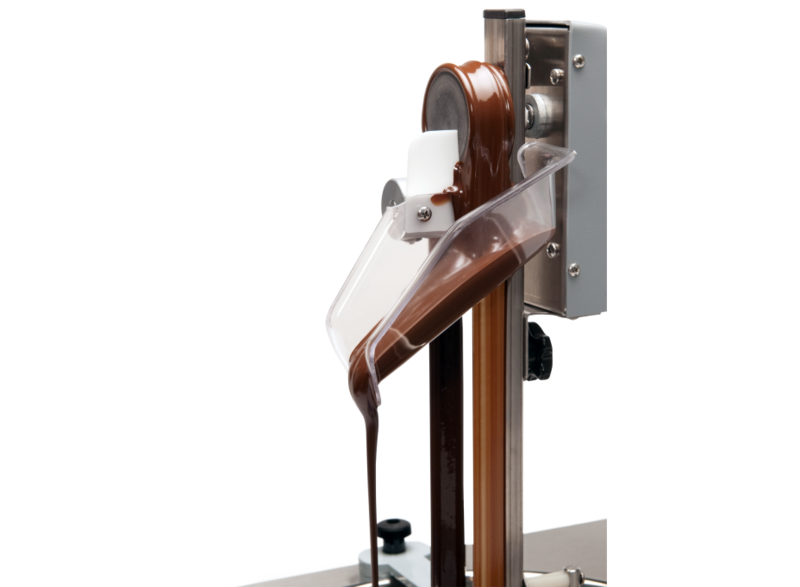 travel on the enrober, they will become completely chocolate-covered, bottom included. 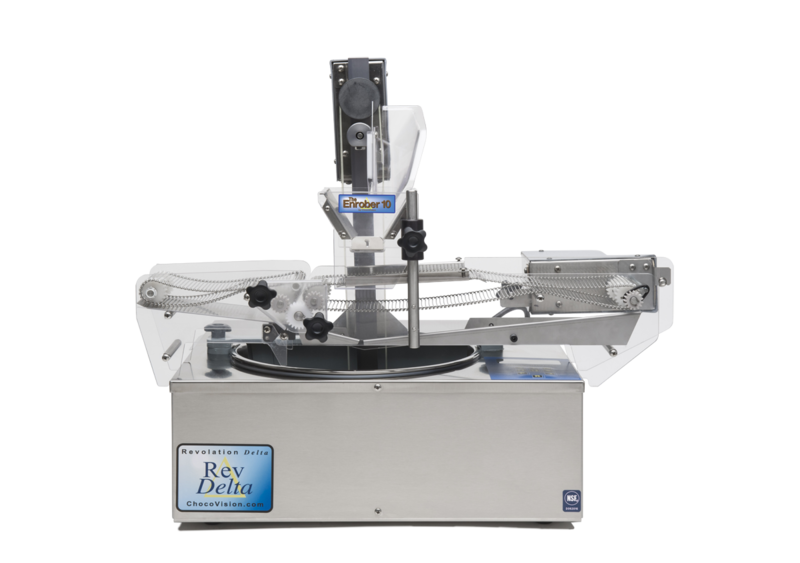 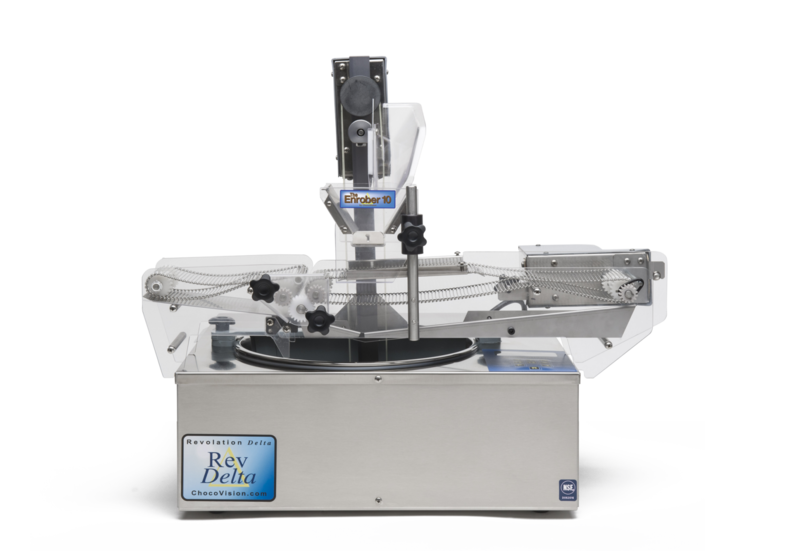 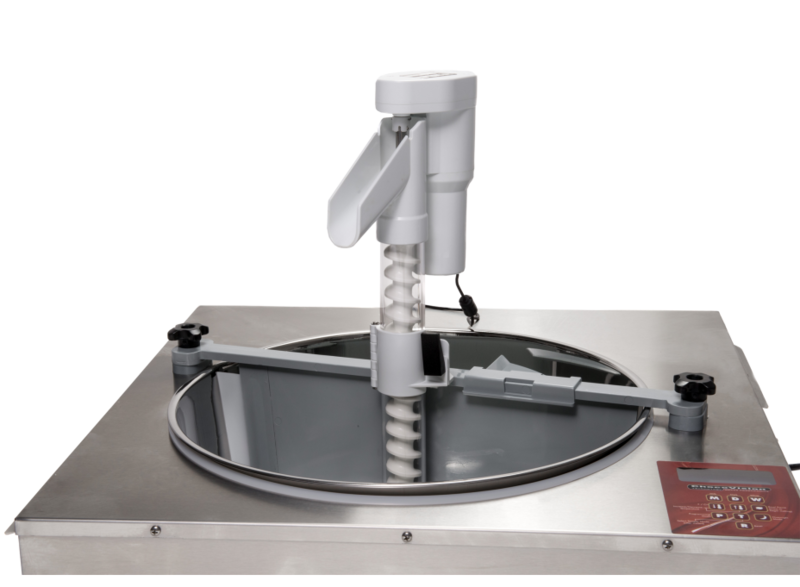 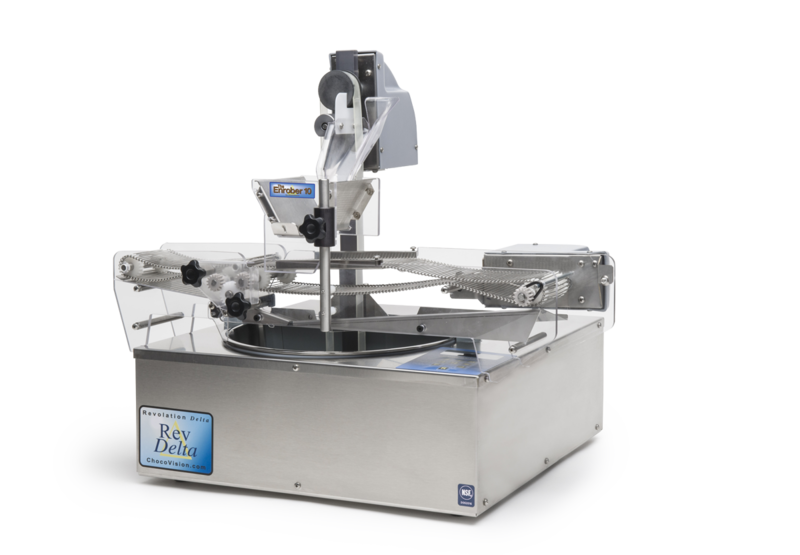 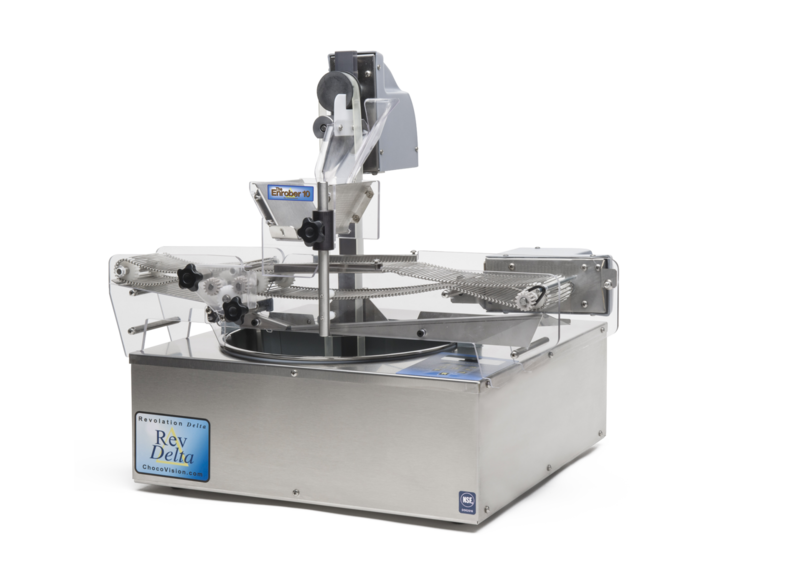 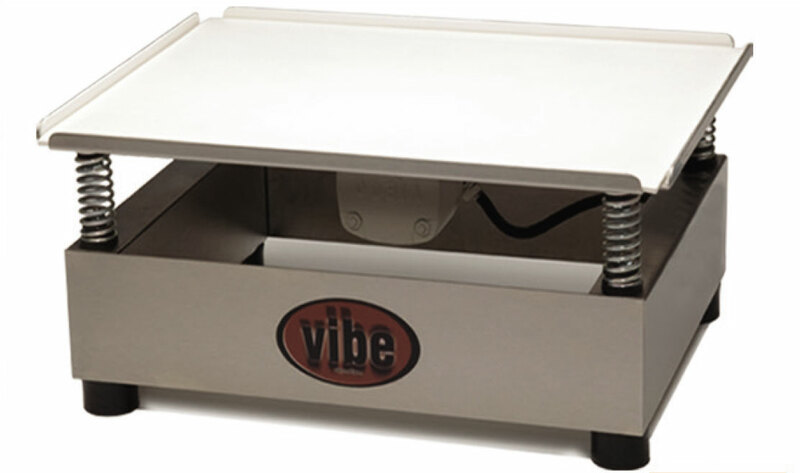 Increase productivity while maximizing the consistency of your products with this enrober at a fraction of the cost of most others. 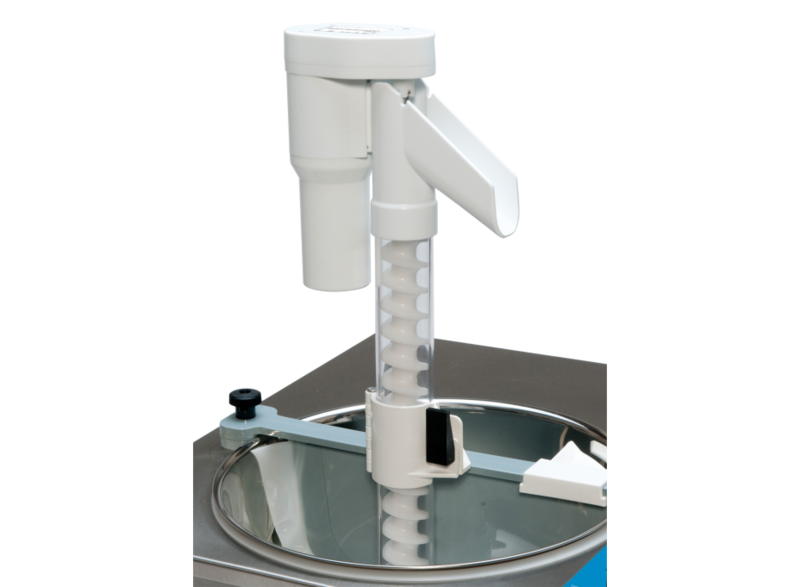 This unit is constructed of two easy-to-disassemble sections, making cleanup simple.